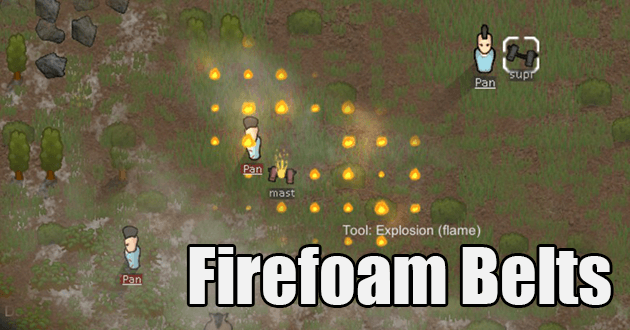 The Firefoam Belt Mod allows you to make firefoam popper belts. Cam be made at a machining table or found on a Combat Supplier Caravan. Additional credits: Jaxxa (C# Code), Chicken Plucker (Preview Art) and AnActualDuck (For the idea). Whether it is fighting mechanoids, a raid with explosives, or a simple fire gone out of control in your base, your colonists are going to get burned at some point. With the Firefoam Belt Mod, you can have them wear a firefoam belt that will explode and save their lives and probably those around them. Really useful!